We have dedicated Embedded Application Development team with extensive experience in Embedded-C language with expertise in Firmware development forÂ higher end processors and applications. ANGLER with its quality Embedded Software development team concentrates on delivering high quality Firmware, Hardware with front end support. ANGLER embedded team provides timely, efficient and affordable Embedded Application Services having gained experience through a variety of challenging embedded applications done for customers based in India, UK, USA, Canada, Singapore, Dubai, Hong Kong and Australia. ANGLER team is ready to provide you solutions under embedded platform for your business needs and in helping you to promote your business intelligence. Hire our embedded firmware developers and Design engineers who leverage our in-house expertise and technology. With cutting edge embedded design, development tools and best development processes, ANGLER can create best embedded devices for your industry verticals. ANGLER as a quality Offshore Development Center is providing talented, dedicated developers for developing native Embedded applications in Embedded C and develops in house Hardware designs. We have dedicated Embedded Application Development team with extensive experience in Embedded-C language with expertise in Firmware development in sophisticated Development Environment using High end processors. We have easy interface solutions to integrate our wireless based systems with your industry verticals to remote monitor and enhance your business intelligence and operations. We have in-house Hardware design and firmware development with full functional knowledge base to meet the customer expectations with our Offshore Development Center (ODC). Our Embedded development team is expert in developing embedded applications for diversified industry verticals. If you want to develop any outstanding application based on embedded systems, hire our Embedded Application Developers; we assure you to provide the cutting edge embedded applications with superb quality and great scalability. 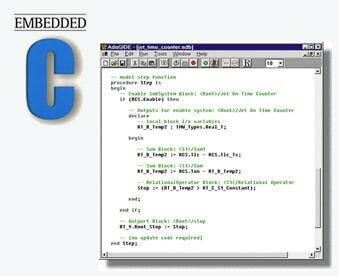 Our highly skilled embedded developers are efficient in Embedded C programming and well versed with Firmware development for Higher end processors and applications. We have developed several latest technological simple and complex embedded apps able to run efficiently on different industry verticals. Contact Us today to know more about our Embedded application development services or to hire our Embedded developers for your needs.